"Got Squirrel?" Cardinals Rally Squirrel Shirt for Men, Women & Kids. Cardinals fans can show their support for the Rally Squirrel with this "Got Squirrel?" shirt. 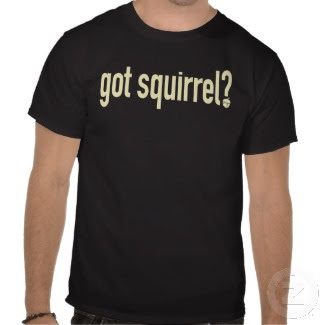 And for those not in the know about the Rally Squirrel, it doesn't matter: it's a just-plain-funny-tee. It's hard to go wrong with this hot-ticket item. Comfortable, casual and loose fitting, this heavyweight t-shirt comes in a variety of colors and styles for men, women, and kids.